Is Pharrell Williams incapable of writing intros? Can someone sound the Klaxons' klaxon? "It's for the women and, of course, Beyoncé," says M.I.A. at the top of this remix, which is more accurately described as an entirely new song "inspired by the characters and events depicted in Beyonce's ***Flawless". In fact, the sole element M.I.A. 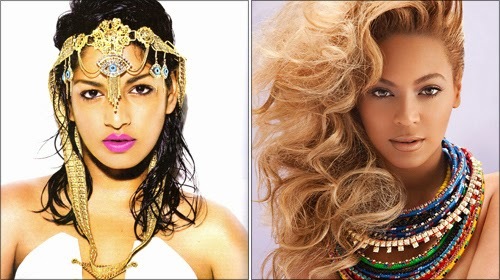 has retained is the lyric "I woke up like this", while the latter half of the song samples vocals from Beyonce's inferior song Diva, from 2008. The whole thing is, of course, a complete racket. Here's the original, in case you haven't seen it a million times already.